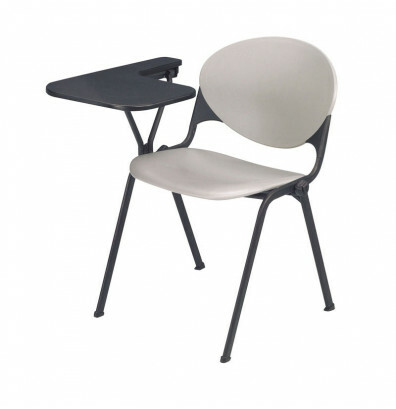 KFI Seating 2000-P right-handed tablet arm student chair desk offers a long-lasting plastic seat and steel frame. Sturdy 4-leg base with glides. Stacks 15 high for space-saving convenience. Available in multiple colors. KFI Seating 2000-P tablet arm student chair desk features a high impact polypropylene plastic seat and back. Injection aluminum alloy back supports. Right-handed tablet arm provides a writing surface and flips up for easy entering and exiting. Sturdy 15 gauge cold-rolled tubular steel frame with black powder coat. Stable 4-leg base with nylon glides. Stacks up to 15 high for added storage ability. Weight capacity up to 400 lbs. 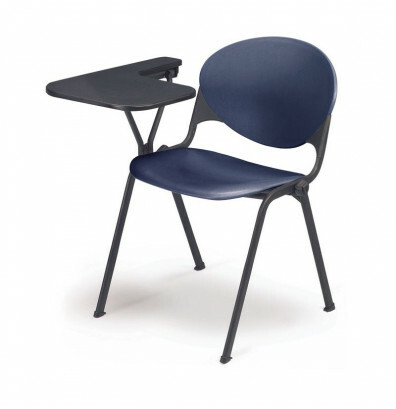 This KFI Seating student chair desk is available in charcoal (P01), navy blue (P03), grey (P06), or burgundy (P07). Also available in a left-handed model (KFI Seating 2000-P), without tablet arm (KFI Seating 2000), and with T-arms (KFI Seating 2000-T).